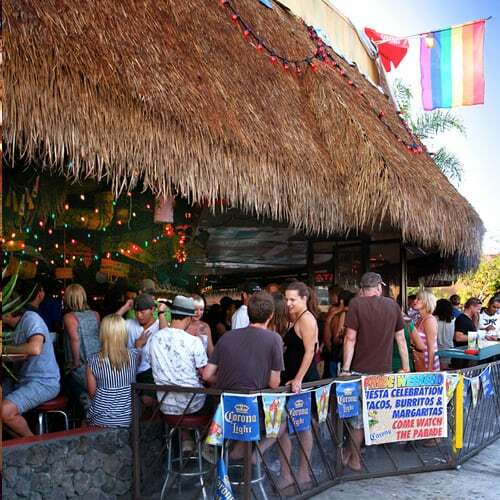 Fiesta Cantina is a lively gay-friendly mexican bar and eatery in Hillcrest, San Diego. This bar and restaurant boasts delicious Mexican plates with a beachy vibe, perfect for a sunny day. Outdoor seating and TVs are extremely available, as well as daily happy hours from 4-8. 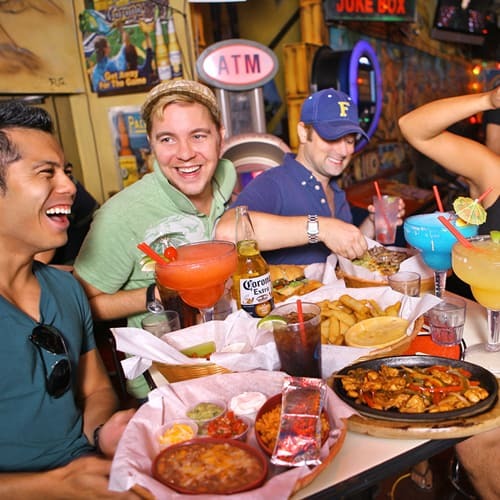 Fiesta Cantina serves incredible cocktails, including their famous 36oz mega margarita!